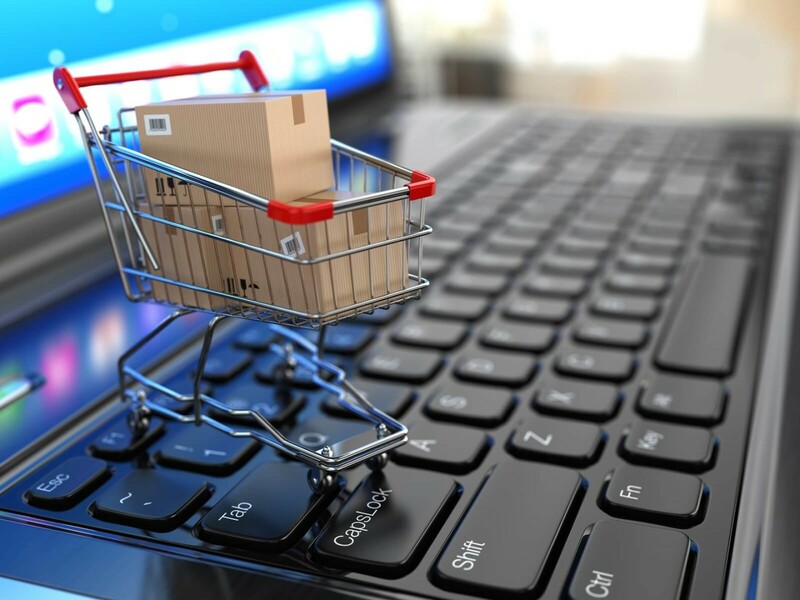 When it comes to online shopping, there is no doubt that Lazada is well known by the general public due to enormous advertisement on television channels, social websites and banners to name a few. Lazada is an online store that has services across Southeast Asia by Rocket Internet GmbH. Lazada joined the growing number of online stores here in the Philippines last February 2012 following its counterparts in Indonesia, Thailand, Vietnam, and Malaysia. With the goal of providing holistic and effortless shopping, Lazada recently extended its footprints in Singapore with its official launch in the country last May 2014. If you will be visiting Lazada Philippines website in a regular manner, you’ll notice a vast number of “sale” happening everyday. This is not counting the sale events during holidays. Filipinos are known to be thrifty and will settle for the “bang for the buck” most of the time. I, myself regularly visit the company’s website to check for the promos and sale events – and thus, lead in buying some good stuffs. Being smart enough, Lazada is one of the best place to find good deals that worth your every penny earned. However, not all the time is a “bang for the buck”. Lazada claimed that all goods sold by them were in great quality and genuine. In the past three years of service, Lazada had faced different issues regarding product quality and rendered service. Issues varying from fake goods, defective items, undelivered items, poor customer service, fraud, scam (not proven), refunds and product replacements. Lazada PH is still a new online marketplace. Even Lazada is around for 3 years in our country, you should be ready for some flaws in the service because they are not yet a very stable company. I started buying goods at Lazada last June 2014. Since then, I haven’t encountered any problem with them except for the delayed delivery service of 2GO. Fortunately, as of the time of writing, Lazada unlisted 2GO as their partner courier. Today, I’ll be sharing my experience on Refund and Replacement Policy of Lazada. Philippines was said to suffer for numerous power outages this summer due to inadequate supply of electricity as a result of scheduled maintenance of various powerplants and also, the growing need for power supply of the business sector. Since I am reviewing for the upcoming licensure examination in September, I started to find ways to be on track on my review when there will be power outage in our area. I use my ASUS Tablet as a medium for some of my review materials like video tutorials and ebooks. With this, I decided to look for a powerbank for my tablet during emergency cases. Lazada offers various branded and generic powerbanks. It was Lazada’s 3rd Anniversary then so many products arrived on the marketplace. LeYou 16800mAh Powerbank caught my attention due to its large capacity and competitive discounted price of P998 instead of P3,599. I immediately checked the brand and discovered that it has a dedicated brand website – a sign that it is genuine and with good quality — but it is in Chinese. Inspecting and evaluating the product details, I decided to give it a try and ordered it together with another item. Choose Cash on Delivery as mode of payment when possible. The item arrived at our doorstep 5 days after (provincial delivery). The item was then security verified online and yielded a “genuine product” output. The item arrived half-charged. For testing purposes, I charged it to full before using it. The results of the test for few charge cycles showed that the capacity of the powerbank is only around 13200mAh at 80% efficiency instead of 16800mAh. By further research and observation, I hypothesized that the pack uses 18650 2200mAh Samsung Cells instead of the 2800mAh variant. I tested the bank again for another charge cycle and collected the same result. 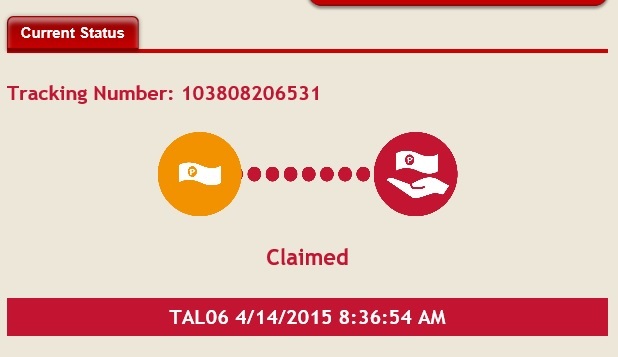 Thinking of having a faulty item, I shipped it back to Lazada via LBC Express after the Holy Week. I demanded for a replacement and stated my reasons in the return form. Updated (May 16): Checkout my comprehensive review about Pineng PN-999 Powerbank. Also, you may want to know how actual output capacity is calculated. After 2 days, a customer service emailed me that they already received my return at their warehouse and the item will undergo quality testing for 2 business days. Lazada slightly impressed me because it was really a 2-day quality check (reviews about this found on the internet were mostly negative) by assuring me that my refund was initiated and will take 1-45 business days for the refund to be credited. I am confused with this feedback because I asked for a replacement. However, it is just fine and maybe the product is out of stock. 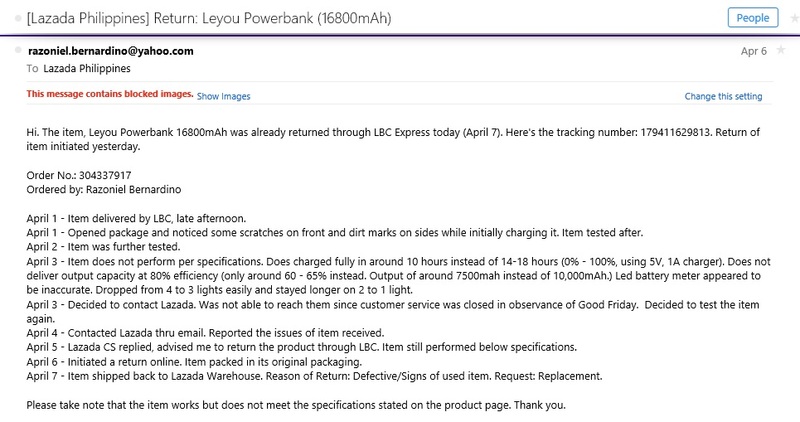 (Visiting the product page, I found out that the powerbank is not in stock). You will have a less chance of encountering problems when you order items directly sold and/or fullfilled by Lazada. The next day, a representative from Lazada services told me that my refund amount of P1,000 was already sent via remittance and can be claimed at any LBC Branch. WOW! That was blazingly fast! I expected to have my money back within 3-5 business days as stated on their policy for Cash on Delivery but it was processed in just a day. And one more thing, I was informed about my refund in a Sunday! I got the remittance easily the following Tuesday. Pay via COD (Cash on Delivery) or Paypal. Debit and credit card payment takes longer refund time. State the problems of the product clearly. In my case, I sent a copy of the tests and results I had gathered in a timeline style to Lazada (via Email and on the return parcel). 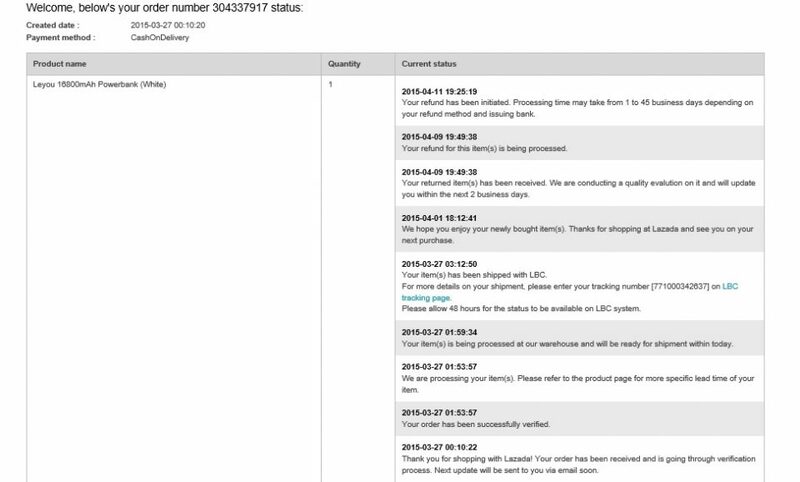 Contact Lazada immediately when you have problems with the order you received and advice them that you’ll update them for any performance change of the product (if applicable). Make sure that your return is covered in the Lazada Return Policy. Be calm and talk nicely with the customer service representative that assists you. Note: This review about the refund policy of Lazada PH is fully based on my personal experience from the service. Others who had encountered problem/s with Lazada MIGHT BE an isolated case. How’s your experience with Lazada Return Policy?